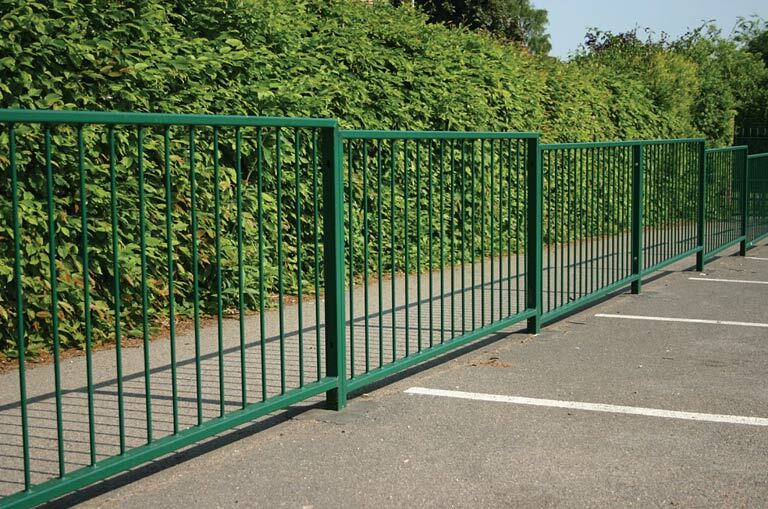 Guardrail - Home Ark Fencing, Decking and Landscape Supplies, Swansea. 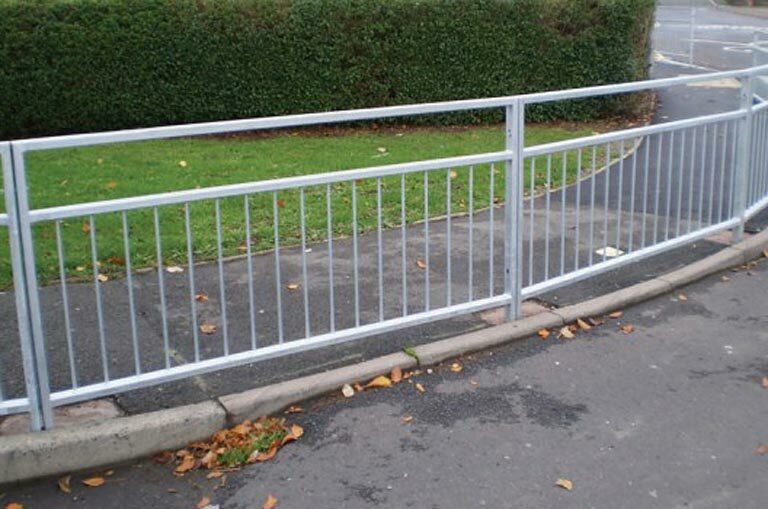 Designed to protect adults and children at road junctions and crossings, Pedestrian Guardrails are also ideal as perimeter fences to running tracks and play areas. Standard panels are 2000mm long and manufactured from 50 x 30mm RHS Frame with either a 12mm or 16mm diameter infill set at 110mm centres.